The Worship Committee works closely with the priest to plan liturgies for services throughout the year including Thursday and Saturday Evening Eucharist, Sunday morning services, and special services throughout the year. This includes Sacristans, Lay Eucharistic Ministers, Acolytes, Lectors, Ushers, Musicians. This group sends greeting cards to members of the parish who are not able to attend church. They also send cards to parishioners when a baptism, birth, death, illness/injury, surgery, or wedding occurs in their family. St. Christopher's Lay Healing Ministry Team (LHMT) is available anytime upon request, but is specifically available on the first Sunday of each month; one month at the 8 am service and the following month at the 10:15 am service. Parishioners are invited to meet with the team, individually, during and after Communion for healing prayers, the laying on of hands and anointing with Holy Oil. The healing request may be for themselves or for a loved one. The parishioner will be mailed a prayer card from the team, who will also pray for them and/or their loved one for the remainder of the month. In that way, the LHMT also functions as Prayer Team, as parishioners and also clergy, often e-mail us with prayer requests. The LHMT holds mini-retreat meetings twice a year, with lunch, a book discussion, and a review of the past year and suggestions for the remainder of the year. If anyone is interested in joining the team or has any questions, they can contact Barbara Hughes. Barbara’s contact information can be found in the parish directory. Additionally, a request for information can be made through the ‘Contact Us’ link throughout this site. This group encourages fellowship and welcomes visitors by hosting a coffee hour after each Sunday service. The Memorial Garden Committee is responsible for maintenance and general gardening within the Memorial Garden space that is located to the left of the church. The Garden was created as a living memorial for the interment of cremated remains of parishioners and their families. The garden also provides a quiet, private place for meditation and prayer. The Stewardship Committee is an administrative committee that works closely with the Finance Committee and the Diocesan Office of Stewardship Ministry to plan a year-round stewardship program for the parish. The committee strives to present a theologically sound and honest approach to stewardship by encouraging the donation of time, talent, and money. A new endeavor that began in 2015 is the Ten Talents Challenge, based on the parable of the talents in Matthew 25. This was a three month event involving the entire parish. In past years, the Fundraising Committee has held three events; a spring yard sale, an international dinner, and a holiday craft fair & luncheon. A Vendor Bingo, held in February, was a successful and fun event for families to enjoy together. The fundraising team will be on hiatus during the interim period while St. Christopher's searches for a new Vicar. The Property Committee is charged with the ongoing care, maintenance, and improvements of our building and grounds, making sure that we have a safe and welcoming environment for worship and for service to our community.​ We always welcome members who wish to lend a hand on large or small projects! Contact Bob Leonard. The hands and heart of Christ are present through our emphasis on caring for people, and seeking to be a place where there are no outcasts. Outreach is expressed through parishioners' time, talents, and financial support. We see Christ in all our interactions. Giving pervades all that we do as a church and as individual Christians. 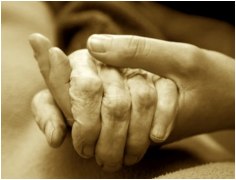 The Outreach Committee directs and supports various projects to assist those in need. Activities are in place to support efforts designed to assist both individual and community programs. In addition, each of our activities is in direct alignment with the UN Millennium Development Goals. The Outreach committee also works to ensure that St. Christopher's allocates 0.7% of its budget toward the UN Millennium Development Goals. 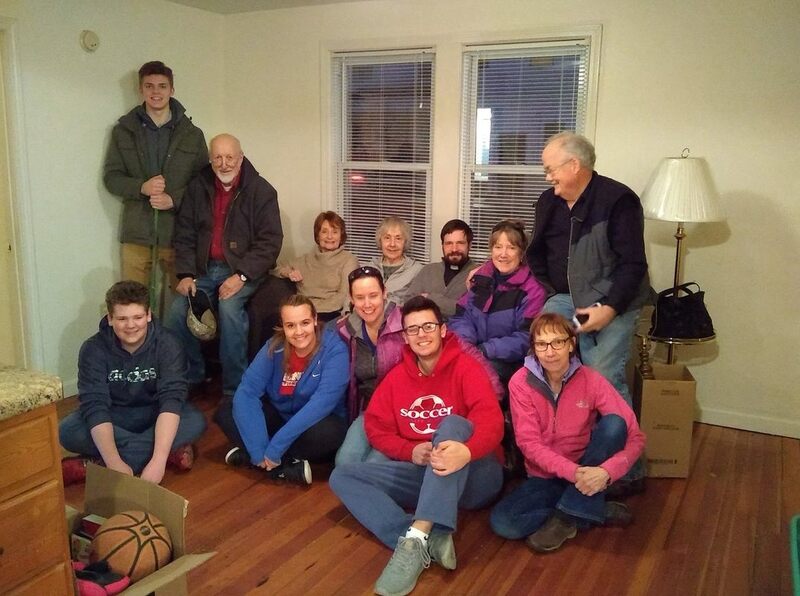 This month (February 2018) we lived out Scripture's call to hospitality and service and furnished a home for a newly arriving refugee family (with two kids ages 7 & 8) with the help, invitation and guidance of the International Institute of New England. It was amazing to see so many step up to accomplish this in just a little over three weeks and see the gift of hospitality lived out. While adjusting to new homes and new languages can be hard, the refugee family is off to a warm start in America. Thank you to all who stepped up for this ministry!! A group of St. Christopher’s members prepares one meal each month for the residents of Emmaus House in Haverhill, MA. Emmaus House provides housing and other programs and services to homeless adults and families. of Family Promise of Greater Rockingham County. As a host congregation, we provide, meals, overnight shelter, and hospitality to homeless families here in our facility, for one week, four to five times per year. The families receive case management services to attain affordable housing and sustainable independence at the Family Promise Day Center in Derry. St. Christopher's volunteers prepare meals, stay overnight as hosts, engage in activities with the children, and most of all provide a sense of welcome and hospitality to our Family Promise guests. Hampstead Congregational Church is our support parish, providing volunteers and financial assistance. Volunteers are always welcome to lend a hand during our hosting week. A short training session is needed prior to volunteering. For more information contact St. Christopher's Host Coordinators Wayne or Kathy Trombly. UPDATE: Family Promise in its current model is in hiatus at this time. Saint Anne Ecumenical Food Pantry is part of the Saint Anne Parish Charitable Outreach ministry who's overall aim is to provide assistance to those in need in our vicinity. St. Christopher's members donate food to the St. Anne Food Pantry throughout the year. In summer months, produce from our garden is donated as well. Along with several area churches St. Christopher's supports the annual CROP Walk to raise funds for Church World Services. 25% of the money raised is returned to local food pantries while the remainder is used to support self-empowerment programs in over 80 countries. St. Christopher's was the host site for the 2015 Walk. Collect and organize toys and books for Children of Incarcerated Parents each year for Christmas. As part of St. Christopher’s commitment to Millennium Development Goals donations are made to ERD. UTO is a practice in over 7000 congregations, collecting monetary gifts of thanksgiving each December. These gifts are combined with others and are ultimately given as grants for projects throughout the Anglican Communion. At St. Christopher's our UTO collection takes place during Lent. St. Christopher’s List is a wonderful tool created and compiled with great care for those people in these troubled times for whom it is painful enough just being in need, let alone not knowing where to turn for help. This list, in PDF format, contains information about state and community resources, non-profit organizations, health resources, transportation, food pantries, shelters, and much more. A valuable resource to help navigate the many programs available to help families and individuals facing difficult times. Click here for the PDF file of St. Christopher's List.